wafting their intoxicating scent all through the house! all I want to do is daydream! I am truly thankful for our yard and our plants and trees. but they are truly hardy and it DID! that it wasn't leaving room for the roses where it was originally. their huge lilac bush yesterday. They didn't even wait for it to finish it's lovely blooming time. This is a treasured vintage Arthur Wood chintz teapot. I think the colours in it are so pretty. in an old sweet vintage tonic bottle. Cyrus, Frank, and Charles Jones founded what was to become Grand Union in 1872. They called the business the Jones Brothers Tea Co., starting with one store in Scranton, Pennsylvania, where the shelves were stocked with coffee, tea, spices, baking powder, and flavoring extracts. 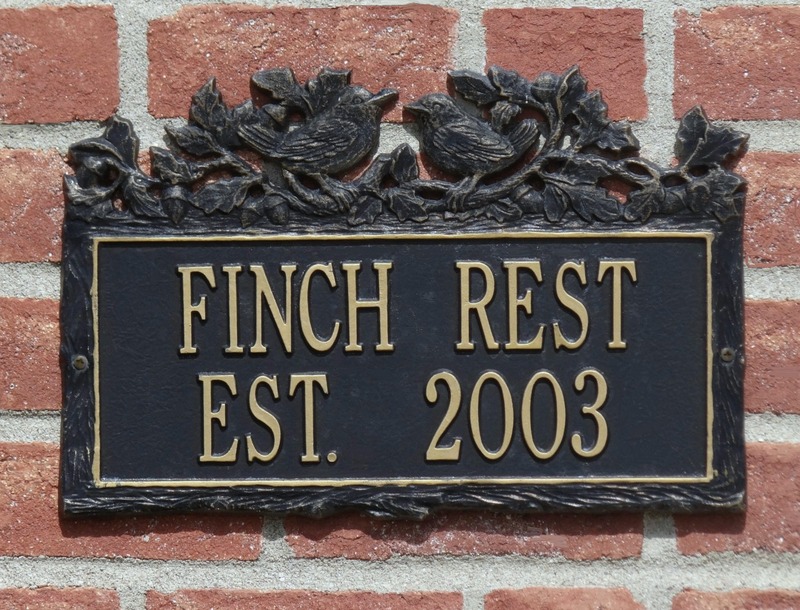 The brothers expanded the business steadily, branching out with new stores in eastern Pennsylvania, Michigan, and New York. By the time it built its headquarters and warehouse in Brooklyn, New York, the company was known as the Grand Union Tea Co.
For additional info please see the source here. Prayers go out to Oklahoma! Oh no! And I sit here and admire my neighbors lilac bushes across the way. I saw her out the other night cutting a few of the flowers. I wanted to ask for some so badly! : ) I may have to get one for myself. I think it would smell wonderful in front of the guest bedroom window. Looks beautiful and I'm sure smells heavenly! Why would they agree to cut their Lilac brush down, maybe alergic to it? I would love to have one in my yard. Hoe heartbreaking! I have allergies, but would rather sneeze than cut down a beautiful bush! They are extravagantly beautiful! I shared about lilacs today a swell. It is deliciously the season. LOVE your teapot! I am back from holiday and blogging, but with a new blog URL for my blog and Tuesday Cuppa Tea: www.antiquesandteacups.info. Thanks for your kind comments when I left for a rest-cure-on-the-seas! 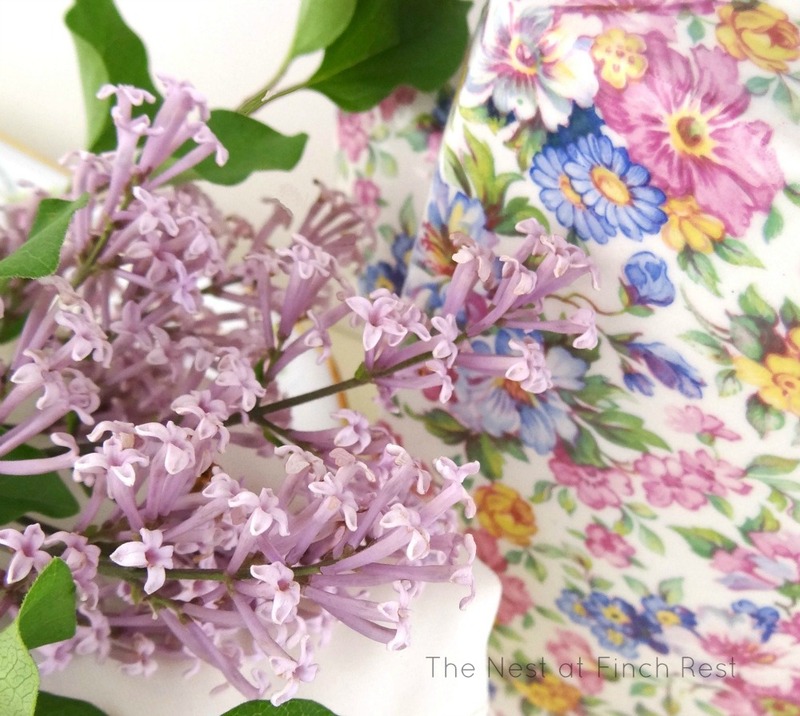 With a scent like lilac wafting through the house day dreaming can be a beautiful thing. Enjoy! That is odd. 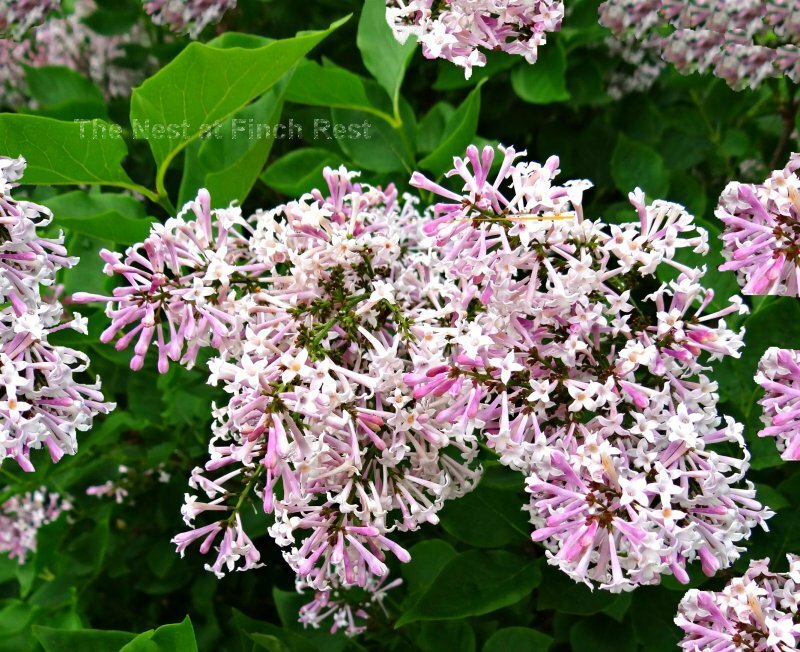 Do your neighbors with the chopped lilac tree have their own minds or are they elderly and easily swayed? If I were the eldest daughter, the neighbors who talked her parents into such a thing would be getting a piece of my mind. 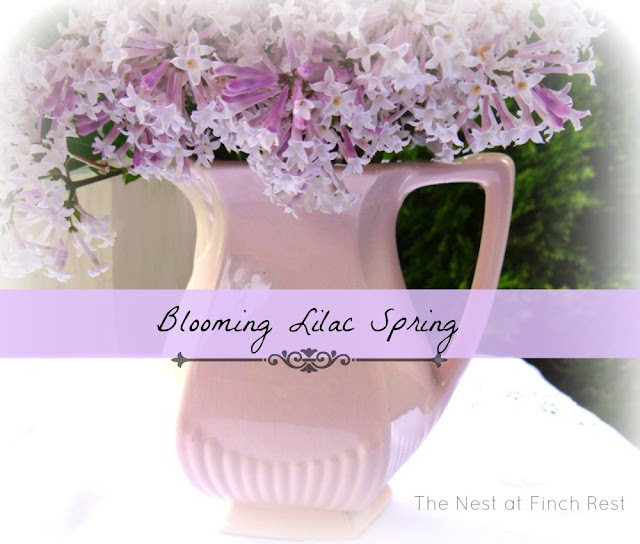 I love lilacs and these are stunning, gorgeous displays. Thanks for sharing this. I love the colour of this lilac Michele, and the chintz tea pot. 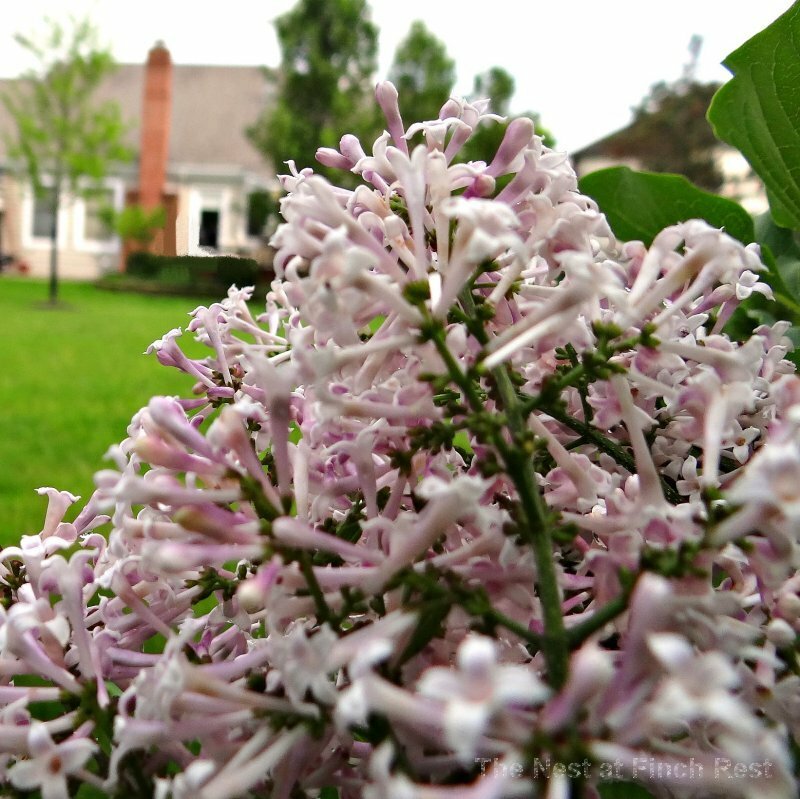 Too bad your neighbours cut down their lilac, I'm sure you enjoyed it as part of your backyard scenery. Your lilacs are so beautiful!! THEY CHOPPED DOWN THE LILACS? Heavens to Betsy! Lilacs are rarely found down my way, although I'm blessed that my parents have a very happy bush at their house -- the fragrance is to die for. Can't *imagine* chopping one down, Michele, so I completely agree about the disturbance in the force! LOVE how you display your blossoms with the elegant and oh-so-chic chintz teapot. 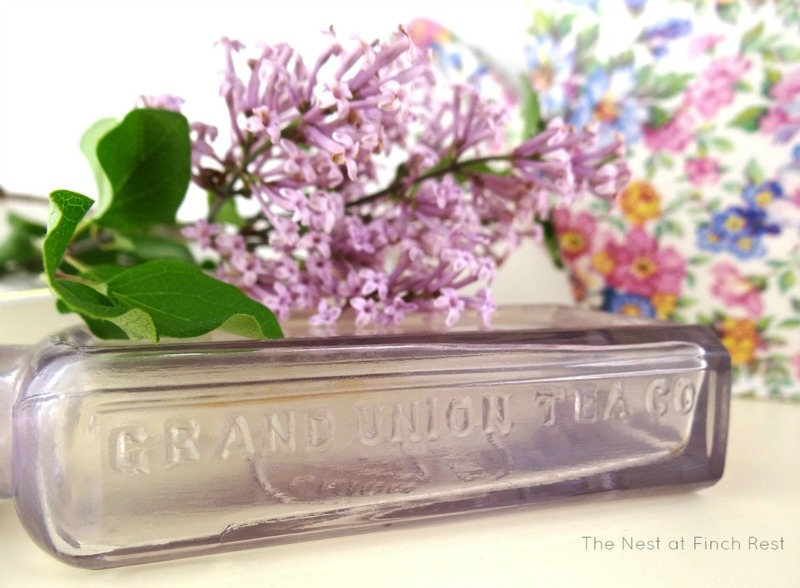 And I love your Grand Union Tea Co. bottle, too, and especially the history. FUN! It's so nice to meet you. I can see that you do love tea. I would give anything to be able to grow lilacs as lovely as yours. What a lovey garden filled with such pretty lilacs. I have never had those flowers. I enjoyed seeing yours very much. Pure lovliness, Michele! Lilacs are really one of my favorite flowers! The look even prettier next to your chintz tea pot! What fun tidbits about the Grand Union Tea Co. Hope you share this tomorrow at TUTORIALS TIPS AND TIDBITS. Very interesting!!! 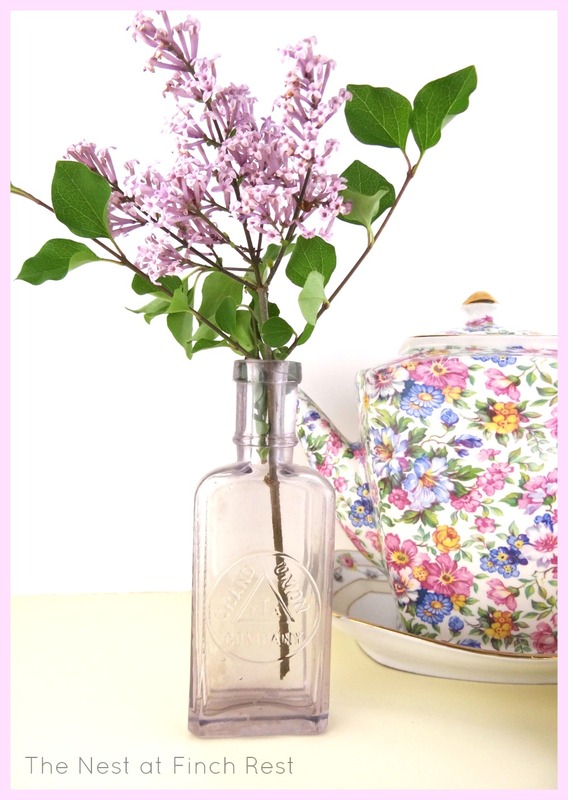 I can almost smell those lovely lilacs posted on your blog today. Purple flowers are my favorite in a garden. Glad you shared information about the Grand Union Tea Company. HA we both used that word "intoxicating" in our posts about lilacs but it is true! There is nothing like that scent!! THOSE neighbors remind me of mine...they purchased a home with an absolutely stunning clematis vine...the kind whose blooms are almost the size of a dinner plate. And they cut it down. Oh, I may have to investigate adding a lilac bush! Wish I could smell the scent via Internet! Michele, your lilacs are so beautiful! My neighbor across the street had two bushes; white and mauve. She had them both cut down and I am horrified! I miss seeing their blooms when I look out the window. Your chintz teapot is really beautiful. I adore chintz! Wonderful info on the Jones Bros. too. Thank you for sharing your lovely post at my HOME. Hope you're having a delightful day! Oh my goodness! your lilacs are so lovely and I swear I can smell them from here! lol! I can't imagine anyone would chop down a lilac? 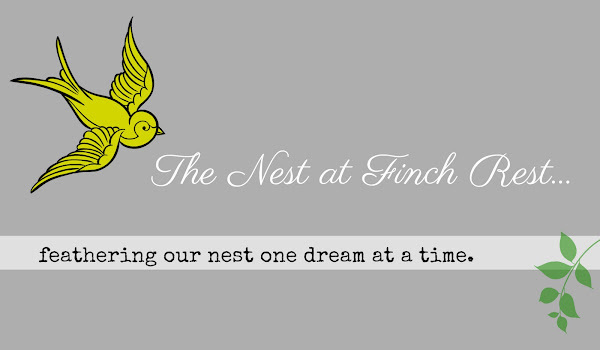 Visiting from Stone Gable and am now following....beautiful blog! I love that you have the ability to get the history of something.. like this vintage bottle. I never seem to know where to start! So I just buy things that tickle me with their color or shape or possible future function and go on my merry way. Thanks for sharing about that beautiful lilac colored bottle. Now... if I could only get my jaw off the ground about someone chopping down a lilac bush! And with blooms still in tact! AWK! !